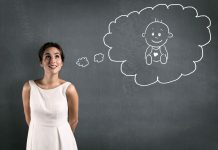 When thinking about the importance of childbirth education you should consider that all women find childbirth a joyful experience but they could also be anxious and stressed about it. If you find the right childbirth class you can take care of the emotional problems that you have regarding birth. The main point of these classes is to build confidence in yourself that you can go through childbirth without any problems. During the classes you can discuss your fears. These classes also educate your partner to offer you support during the process. Couples say that these classes bring them closer together. It is an important part of the childbirth classes to find out about pain relief options such as massage, breathing, relaxation and medications. During the classes you should have a tour of the medical facility that you will give birth at to get familiar with the place and also with the medical staff. The curriculum of this class presents birth as something natural, healthy and normal. 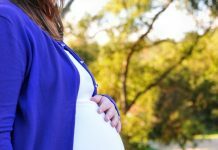 It covers topics such as labor, birth and the postpartum period, positioning during labor and birth, massage and relaxation techniques to make the pain better and support for labor. For this the communication skills are also important and it offers a lot of information regarding the routine medical procedures to be able to make an educated decision if you have to. You will also receive some information regarding healthy lifestyle and breastfeeding. This is a really trendy kind of childbirth education and it is preferred by women who would like to have natural birth and who want to avoid medical interventions. Usually the course lasts for 12 weeks and it covers topics like the importance of healthy nutrition and regular exercise. Besides this the class for birth also gives you information on methods to make the pain better, you will have labor rehearsals and you will find out how you can avoid having a caesarean. The curriculum also covers breastfeeding and postpartum care and if you have a doula, she will also receive some guidance. This kind of childbirth education is based on the belief according to which if tension and fear is removed, the pain will disappear. The main point of the class is to teach women techniques for relaxation through which they will be able to enhance the natural birthing instincts. During the birth classes women will learn how to achieve a state similar to daydreaming during labor. This way they will be able to maintain control over their reactions and they will get to enjoy the process without being worried because of the pain and discomfort that they might experience. This is another kind of childbirth education that you could be thinking about. The main point is to remain aware during your experience and to focus on a given outcome. The best thing about the curriculum is that it can be modified according to your needs.